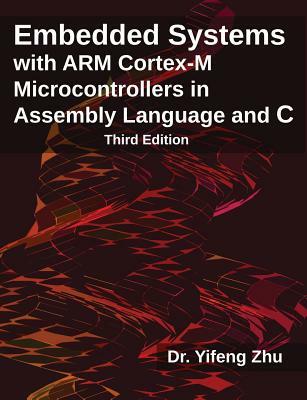 The book introduces basic programming of ARM Cortex-M cores in assembly and C at the register level, and the fundamentals of embedded system design. It presents basic concepts such as data representations (integer, fixed-point, floating-point), assembly instructions, stack, and implementing basic controls and functions of C language at the assembly level. It covers advanced topics such as interrupts, mixing C and assembly, direct memory access (DMA), system timers (SysTick), multi-tasking, SIMD instructions for digital signal processing (DSP), and instruction encoding/decoding. The book also gives detailed examples of interfacing peripherals, such as general purpose I/O (GPIO), LCD driver, keypad interaction, stepper motor control, PWM output, timer input capture, DAC, ADC, real-time clock (RTC), and serial communication (USART, I2C, SPI, and USB).